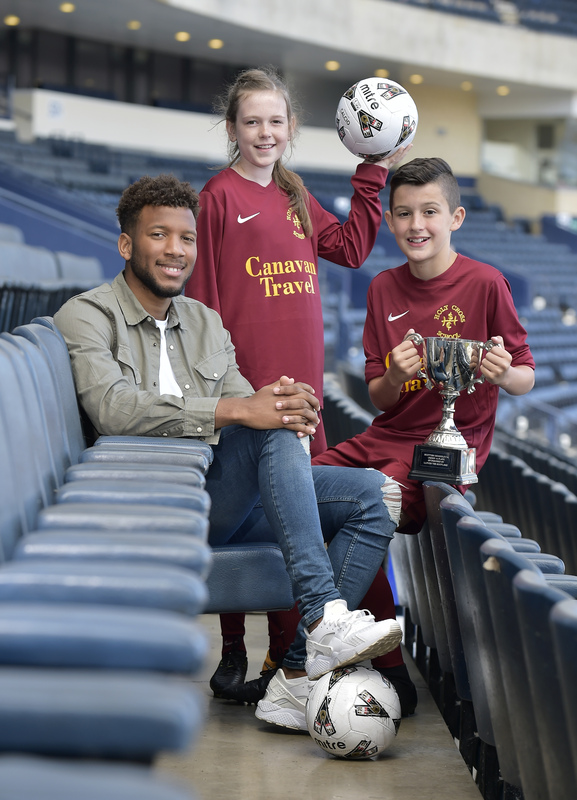 The annual Scottish Schools Football Association (SSFA) Soccer Sevens Competition is about to kick off but it’s already scored a hat-trick of ‘firsts’ – as the 2018/19 tournament has a new sponsor, a new name, and a new goal of supporting the STV Children’s Appeal. 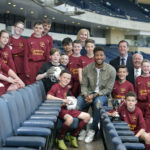 Open to teams from Primary 6 and 7 year groups and Secondary under 15s, the popular juniors’ Soccer Sevens tournament for all schools in Scotland demonstrates SSFA’s commitment to encouraging children throughout the country to play football as part of their physical, social and emotional wellbeing. 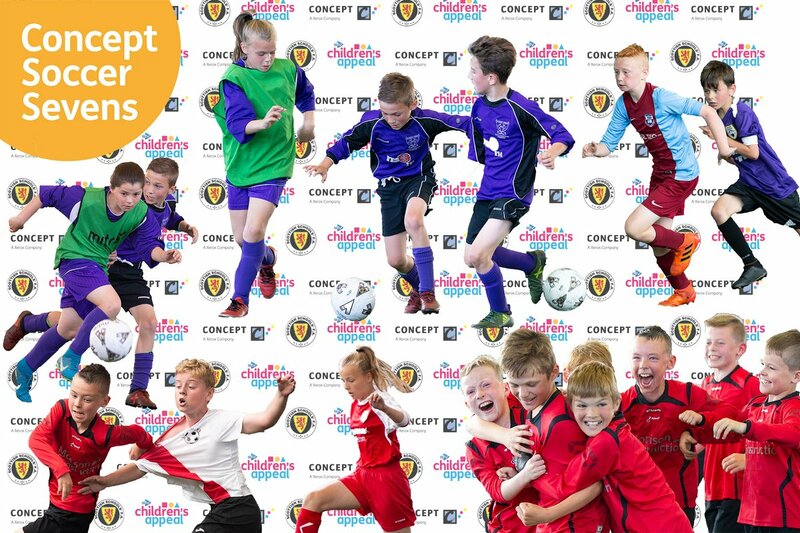 Following SSFA’s recently-signed sponsorship agreement with digital print and document technology specialist, Concept Group Ltd (part of the Xerox Company), this year’s tournament has been named the Concept Soccer Sevens 2018/19. 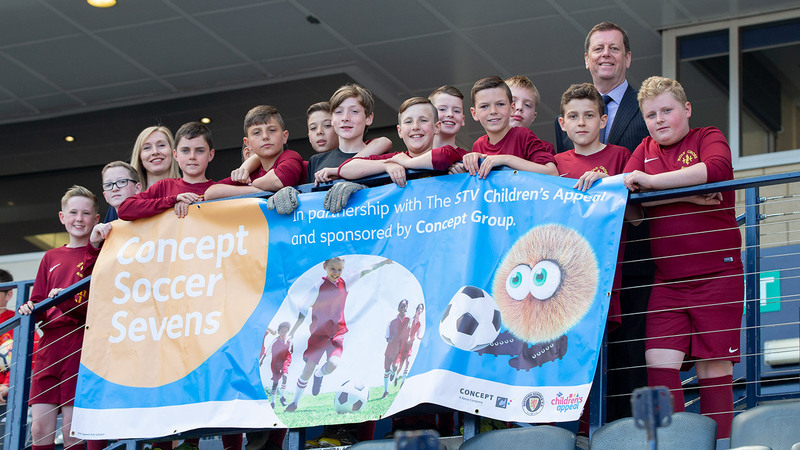 To enable the Concept Soccer Sevens 2018/19 to not only benefit the children taking part, but also have a wider positive impact, the tournament will include a charitable element for the first time; it will raise funds for the STV Children’s Appeal. The STV Children’s Appeal helps children and young people affected by poverty in Scotland. Every single penny raised for it stays in Scotland – 100% of donations is invested in charities and projects across the country as all of its overheads are met by STV and The Hunter Foundation. 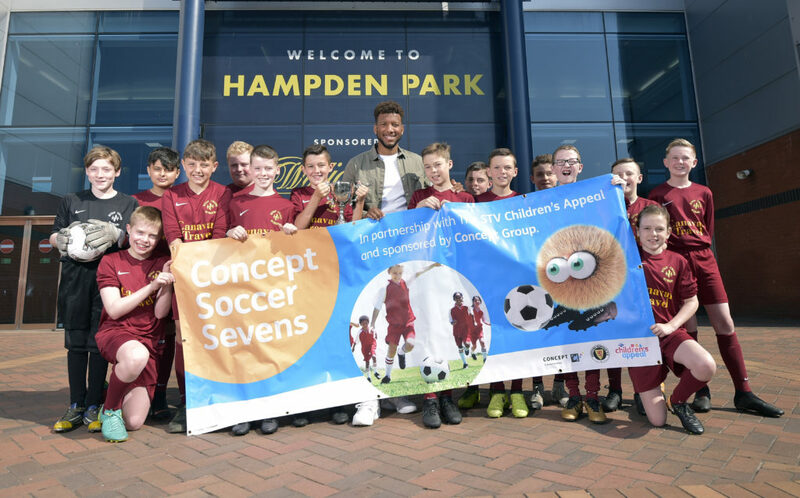 Through its partnership with the STV Children’s Appeal, the Concept Soccer Sevens 2018/19 will help make a real difference to children and young people experiencing hardship in communities all over Scotland. 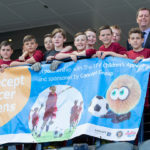 That means schools participating in the tournament will be able to play an important part in supporting the Appeal’s efforts to offer practical help like providing food and clothing, creating training opportunities to improve employability, and enabling social and emotional support. 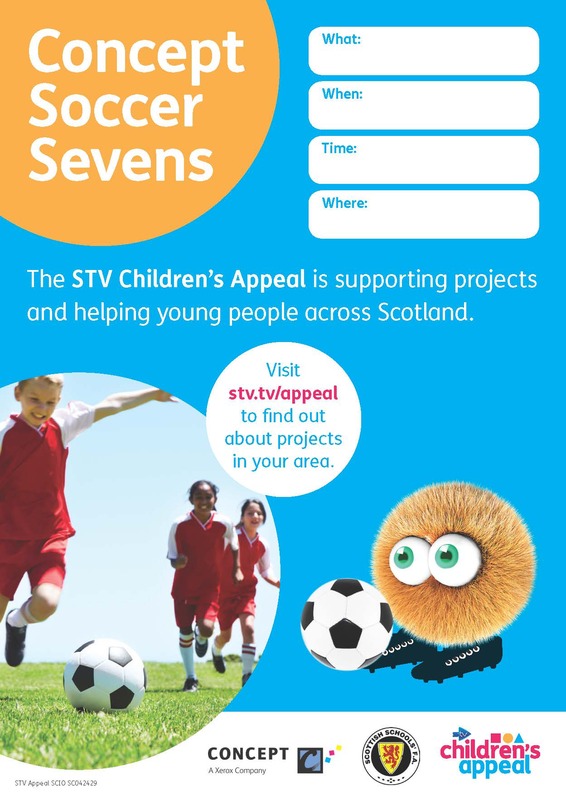 SSFA has contacted every school in Scotland to invite them to participate in the Concept Soccer Sevens 2018/19 by entering teams and getting them – and perhaps their year-group peers or other classes in their school – involved in fundraising for the STV Children’s Appeal. SSFA is suggesting each school taking part in the tournament raises a minimum of £100 for the charity. 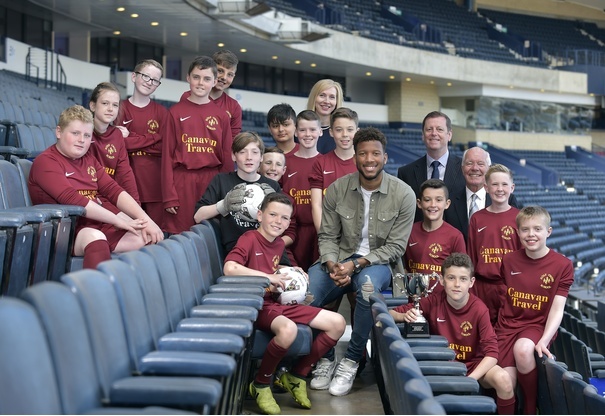 Celebrating the launch of the Concept Soccer Sevens 2018/19 at Scotland’s National Stadium, Hampden Park, were pupils from the P7 football team at Holy Cross Primary in Croy, North Lanarkshire, and St Mirren player Myles Hippolyte. Winger Myles joined the Buddies at the end of January after being signed from Scottish Championship rivals Falkirk. 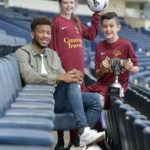 Myles Hippolyte said: “SSFA does so much to develop football in Scotland and its annual schools’ tournament plays a really important part in that by introducing so many boys and girls to the game.